My native language is NOT English. It is Yoruba. Are you shocked? I doubt it, but I will explain myself nonetheless. I define “native language” for myself alone, as the language spoken by members of my ethnic group. Being that I am from Lagos (Yes, I really am from Lagos), it is obvious why I would assert that Yoruba is my native language. But, the problem with this my definition is that it does not apply to everyone else. It is essentially “discriminatory,” the reason being that so many other people cannot define their native language the way I defined mine. In fact, some people would even argue with me that English is their native language. But, I disagree. While English is the OFFICIAL language of Nigeria because we were colonized by “Mama Sha-ly” and her people (okay, I ought to just say “The British,” but Mama Sha-ly sounded well….cooler! *grinning*), it is not our native language because we are not originally from England. It is amazing how a person’s perspective can change just by living in another man’s land, and that is what happened to me. When I lived in Nigeria, I never really thought about language as per whether English was the official language, bla, bla, bla. In fact, I never had any desire to speak anything else other than English and maybe other European languages like French (call it “colo-mentality” as in “colonialism mentality” and you’d be quite correct). Fast-forward to a few years in the US, and my perspective has changed. 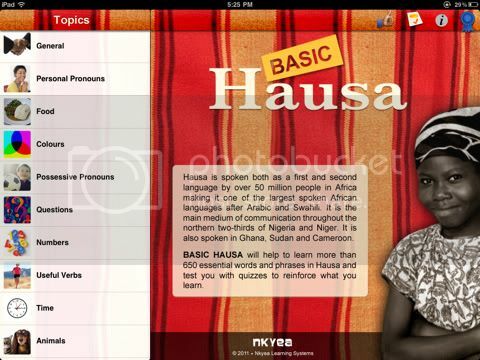 Not only am I more interested in learning Yoruba, but my interest in learning Hausa has been re-kindled as well. Okay, let me explain. I am sure there are other possible hypotheticals or scenarios, but those were the only ones I could think of right away. What I really wonder about is whether Nigerians even care about knowing or speaking their “native language,” whatever that may be. It seems like the emphasis is on English, which makes sense since that’s the main vehicle of communication that the rest of the world uses. But, apart from speaking English fluently, how many Nigerians can speak at least ONE Nigerian language fluently (or at least speak it “fairly well”)? How many Nigerians are interested in learning to speak ONE Nigerian language, talk less of a SECOND language? I think the answer to that question is: Not many. Sadly. 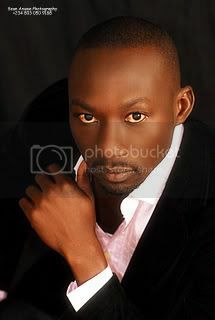 In addition, I have noticed a certain fear with respect to speaking Nigerian languages and English, i.e. it seems like a lot of people think that if you can speak your native language fluently, it somehow “colors” your English, i.e. your spoken English will be poor. Basically, a lot of people think there’s some kind of tradeoff between English and any other Nigerian language, so it is either one or the other. So, those who want their children to speak “correct” English either completely discourage them from speaking their native language or they emphasize English to the detriment of the Nigerian language (*pardon my using “native language” and “Nigerian language” interchangeably, but you get what I mean, right? *) At the same time, I have met people who speak English fluently and their native language just as fluently, and the two languages apparently “co-exist peacefully.” So, I am curious. What has your own experience been? And being the generous person that I am (*batting eyelashes*), I decided to share it with you. Plus, this song is completely in Hausa, which is a language I am very interested in (Thanks Relentless! Like you didn’t already mention that!) Furthermore, the video features some well-known and upcoming artistes who are from Jos (or at least live there). Okay, without rambling any further, here is Dach-Mo singing “BABU.” Enjoy and have a great weekend! Am not fluent in my native language...ENGLISH was a MUST in our home then...but now, me think my parents are kind of regretting it....i put it down to colonial mentality as you said ....Nigerians are coming to appreciate themselves, hence, the awareness....am not happy i cannot teach my kids ESAN but hope they learn YORUBA from their dad. Love the new look of your blog:) I enjoyed reading this post, I have noticed over the years that educated folks who speak their native language very well, speak English so well too. In primary school I remember my teachers always trying to discourage us from speaking vernacular, lol. It's really good that you know your language well (which is more than I can say for myself), but you didn't say what your language was...And you're right. I have also met Nigerians who speak English fluently and also speak their own language just as well...I think that's a blessing, really. Awwww! You're not?! That makes two of us. While I would like to claim that I am fluent, the truth is that I have to use a lot of English words for the Yoruba words I don't know. And just like you, English was over-emphasized at home, so the little Yoruba I know was not learnt from my parents, per se. I also hope your kids learn to speak at least one language though, like you said. Let's just blame it all on "colo-mentality"...LOL! Yes o! I just found out about that blog challenge and I hope you do the post soon. I think it'll be interesting to hear you speak those languages you can speak. Maybe some of us will pick up a few words too! And you can speak 3 languages? Wow! Impressive! Thanks so much for the compliments (or maybe I should thank the designer....LOL!) I am glad you enjoyed reading the post. Just like you I have met people who can speak both English and their native language well, but I have also met those who can only speak English and blame their reluctance to learn their native language on the perceived effect it will have on their English. And yes o, me sef I remember teachers emphatically forbidding anyone from speaking vernacular...Can you imagine?! Trinkettz (a.k.a Titi's Passion):Thanks so much for the compliments (or maybe I should thank the designer....LOL!) I am glad you enjoyed reading the post. Just like you I have met people who can speak both English and their native language well, but I have also met those who can only speak English and blame their reluctance to learn their native language on the perceived effect it will have on their English. And yes o, me sef I remember teachers emphatically forbidding anyone from speaking vernacular...Can you imagine?! Hehehe! Laughter is a good thing now, so I am glad you got to laugh! Just like you, I grew up with the erroneous notion that people who spoke their native language fluently were "bush" ... Needless to say I no longer share that belief today! It's good that you at least understand it. I don't think it is ever too late to learn your language, especially since there are tons of resources out there to help you. Plus, the cycle you described is quite true, so I guess if you want your kids to speak Igbo, you might want to start working on it now...LOL! You'll be surprised at how much improvement you'll see even at this stage, so don't be discouraged at all. Just start. I think if you can speak all the other Nigerian languages (not just the 3 major ones), then you can claim the title of "True Nigerian"....LOL! Don't mind me o! 3 is good enough and you're lucky to have learnt 2 extra ones. So you're an Ekiti man?! Ah! I hail o! learn but I still see it as Chinese. You would consider yourself lucky? Does that mean you understand it or you're trying to understand it? LOL! Either way, it's good to hear people speak their own language, not just English. I feel you on the regret part, but I am glad you're at least making the effort to learn not one, but 2 languages. By the way, you didn't tell me what your native language was o! And thanks for the compliments on the template!